When the hotly anticipated Michelin Guide 2018 was launched, it came as no surprise that Ristorante Berton al Lago, part of Il Sereno hotel on the shores of Lake Como, was awarded a Michelin star within one year of opening. The restaurant, which is headed up by Milan-based restaurateur and chef Andrea Berton (he is already a heavyweight on the Milan dining scene with four Michelin stars across three restaurants) and executive chef Raffaele Lenzi,excels at Italian dishes with a modern twist, using seasonal ingredients from northern Italy. Paired with interiors by renowned architect and designer Patricia Urquiola and a terrace with a prime position right on the lake, it was always going to be a winning combination. Yet this restaurant is simply the latest addition to Lake Como’s buzzing foodie scene. 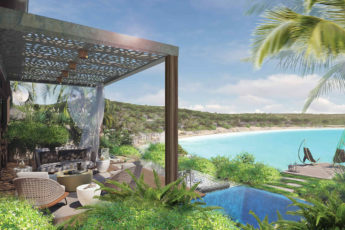 While once the region was mostly renowned for grand stately hotels and historic villas, now a bunch of game-changing openings are appealing to a new generation of jet-set visitors. Smartly dressed Milanese are still flocking here each weekend during the summer (it is only an hour outside the city) to nip between the pretty shoreside villages on sleek wooden boats and sip negronis at Harry’s Bar in Cernobbio, but these days they are also snapping up tables at the new wave of talked-about restaurants. Another hot spot causing a stir since it opened in 2016 is Ristorante Materia (also in Cernobbio). At the helm is young chef Davide Caranchini (named in this year’s Forbes 30 Under 30 Europe list) whose radical offering goes against the meat-rich norm by featuring an inspired five-course ‘green power’ vegetarian tasting menu (think dishes such as poached egg, spring legumes and tomato tea, or goat’s cheese ravioli with black cabbage and Sarawak black pepper juice) with ingredients grown in the restaurant’s own greenhouse. His signature dessert is called Banksy: a paper-thin layer of smoked yoghurt and chamomile cream stencilled in the shape of one of the street artist’s iconic images. Equally as exciting as what’s served up on the plate are the developments in the drinks industry. While Italy might be renowned for its wines (and lagers such as Birra Moretti and Peroni), for the past few years there has also been a growing craft-beer movement. Small local brewery Birrificio Italiano produces a complex dark wheat beer called Vudù, while brew pub Il Birrificio di Como in Como’s city centre is the place to try a selection of malt beers. There are also a number of cocktail bars upping the ante and attracting the hip crowd, including street-food restaurant and bar 100 Lire and the Fresco Cocktail Shop in Como, with its 1940s-themed interiors, jazzy soundtrack and waistcoat-wearing mixologists who will shake up drinks made with citrus fruits grown nearby. A popular aperitivo spot Harry’s Bar in Cernobbio. Above: Lecco at Sunset. Another new happening that drew a very different crowd was the inaugural Lake Como Comic Art Festival at Villa Erba in Cernobbio (it was a huge success and takes place again in May 2019). Bestselling cult comic-book artists such as Americans Neal Adams and Greg Capullo (between them, they are best known for creating some of the imagery of the DC Comics characters Batman and Green Arrow) were among the guest appearances. Savvy shoppers come to Lake Como for the regular markets, scooping up antique finds in Como’s San Fedele Square (on the first Saturday of each month) and anything from original bespoke handmade furniture to locally made gifts and fashion accessories at Mercato dell’ Artigianato, an artisan crafts market held at the end of October in Lecco. Also top of the shopping list is the region’s most famous export – silk. Two of the best-known brands are Mantero and Ratti, suppliers to major fashion houses such as Saint Laurent, Nina Ricci and Trussardi. Beautiful scarves and neck ties can be bought at the Mantero outlet shop in Grandate, while the little-known Fondazione Antonio Ratti is a textiles museum in 18th-century Villa Sucota, which displays fabrics collected by Antonio Ratti throughout his life. Other under-the-radar gems on Lake Como include the quirky La Ca di Radio Vecc museum in Bellano, where you can lust after the kind of groovy old radios and gramophones that are making a comeback, and the lido in Menaggio. A 15-minute walk from the harbour, it is surely the town’s best-kept secret and with two swimming pools, a sandy beach and a deck that stretches out over the water – the perfect place to spend a lazy afternoon in the sun. Across the water, the lido in Bellagio is another beach hangout by day and turns into a nightclub after dark (Friday dinner parties begin with aperitivo at 7.30pm and end at 4am). The best way to explore is still by getting out on the water or up in the air. Bellagio Water Sports offers kayaking and stand-up paddle-board tours, while the AeroClub Como specialises in private seaplane flights and lessons. 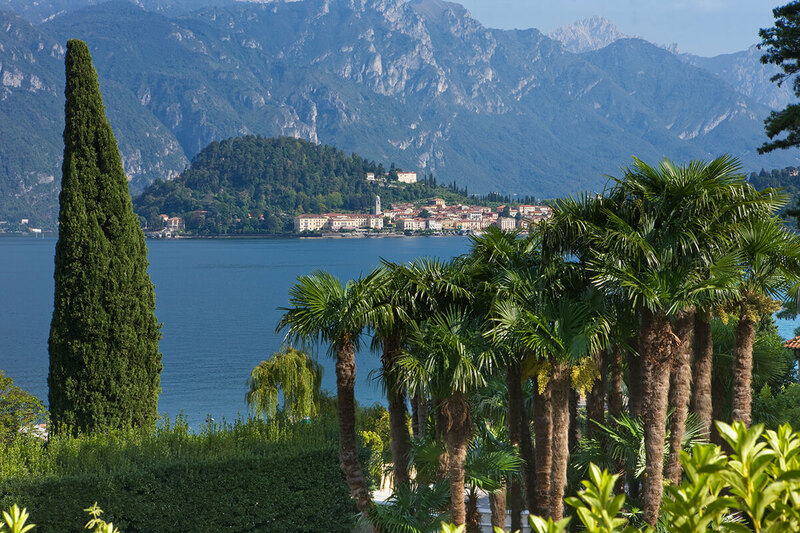 And despite all that’s new, Lake Como’s timeless, sophisticated charms remain – and are now being enjoyed by the next generation. This Michelin star restaurant has a superb terrace overlooking the lake. Expect inventive, molecular cuisine. Set in a pretty waterfront square with fantastic views of Isola Comacina. The lemon ravioli is the stand-out dish. A Michelin star restaurant and art gallery set in a restored 15th-century palazzo. Farm-to-table food with a focus on local ingredients, served in a contemporary setting. Its menu features lake fish caught by the owners, the wine list has more than 300 Italian and French labels, views are stunning. Michelin star food served in a simple, charming restaurant by the jetty. The homemade desserts are especially delicious.